Between the main island of Japan, Honshu and the smaller island of Shikoku some 27 islands dot the area known as the Seto Inland Sea. Of these islands, Naoshima is the best known to tourists and for good reason. Waking up in the morning to the call of sea kites and wandering the quiet streets before the day begins is peaceful and something of a relief for visitors from Japan's bustling cities that never sleep. On top of this, Naoshima has embraced contemporary art and architecture in a way that enhances the area’s natural beauty and invites visitors to explore the atmospheric, narrow maze-like streets giving them the chance to observe the interaction between the art and daily village life. 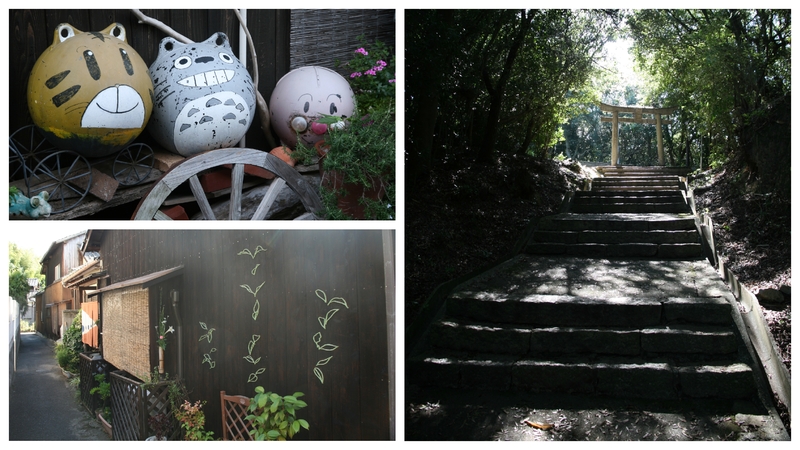 Make your way into the streets and alleys of Naoshima, you never know what you will find! Naoshima’s main draw card is the Benesse Art Site. This area comprises of three galleries designed by acclaimed architect Tadao Ando, numerous outdoor art installations and a hotel (accessible to guests only). Close to the entry of the site sitting on the end of a pier, in stark contrast to the green-blue of the ocean, is one of Yayoi Kusama’s famous pumpkin sculptures and a favourite photo spot. From here, the first galley you arrive at is the Benesse House Museum. Further up the hill, the Lee Ufan Museum is a quiet place of contemplation where the art and architecture truly complement one another. Finally, perched at the top of the hill but built mostly underground so as not to affect the natural beauty of the area is the Chichu Art Museum. Before entering the museum visitors stroll through a pleasant garden and what feels like a concrete labyrinth you may never return from before reaching artworks by James Turrell, Walter De Maria and Monet’s breathtaking water lilies. 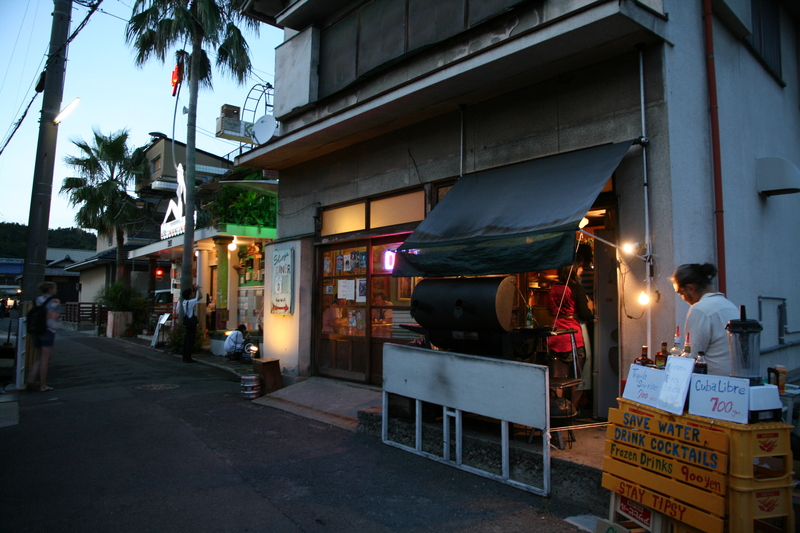 Located around the Honmura area, the Art House Project gave artists old houses in the area to display their art or reform and turn into a piece of art in its own right. Entry to the houses can be paid individually for Y410 or a multi house pass can be purchased at the art house project office for Y1030. An experience as much as an artwork, James Turell’s Minamidera invites viewers to find the light in the dark. This exhibition runs every 15 minutes from 10am with the last entrance at 4:15. Limited numbers are admitted at one time, so it is often necessary to pick up a timed entry ticket at the venue. In the late afternoon during summer, you might be lucky enough to catch a pop up make your own kakegori (shaved ice) stall just across the road. The first of the Art Houses to be constructed invited local residents to be involved setting the pace of the mesmerising counters floating in the indoor ocean. Originally a dentist surgery, hence the name which is Japanese for dentist, Haisha is an eclectic mixture of sculpture and painting, both inside and out. Ishibashi combines the charm of an old residence and garden with depictions of waterfalls and the mystery of the surrounding sea. A simple exhibition of camellias scattered on the tatami floor of a room once used for townspeople to play the traditional game, Go. At first glance, Go-o seems to be a run of the mill hilltop shrine, albeit with a new set of stairs. During opening hours however, you are invited to enter, through a narrow passage with torch in hand, into a cavern under the shrine. I was not sure what was more impressive here, the shrine and artwork or the sliver of blue sky and aqua ocean visible on the way back out. A seperate entry fee and booking are required to enter Kinza as guests enter individually. If you want to visit Kinza, please book here ahead of time to avoid disappointment! The cleverly named I ❤ Yu (Yu means hot water in Japanese) is quite simply the most spectacularly decorated bathhouse I have visited, inside and out. A relaxing soak here is a great way to reflect on a day of sightseeing. Thankfully, at I ❤ Yu, tattoos are seen as works of art, not immediate links to criminal organisations so tattooed tourists, rejoice, you too can relax! 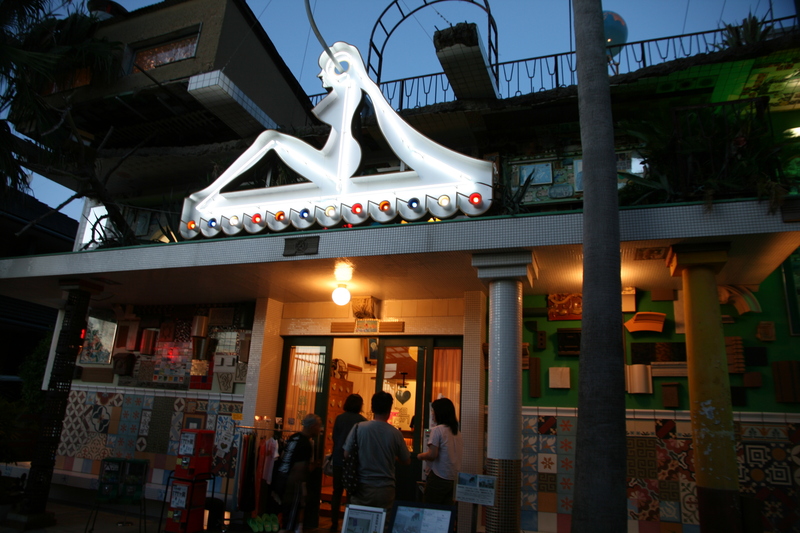 The main areas of the island, Miyanoura, Honmura and the museum area have a good selection of cafes and restaurants. From sashimi, ramen and curry rice to more western fare such as pasta and burgers there is no shortage of sustenance. There are also a handful of restaurants specialising in farm to table seasonal, local cuisine. Be sure to try one of these for a meal to get a true taste of the Seto Inland Sea. A comprehensive guide to restaurants, including opening and closing times, is printed in the Naoshima guide available at the ferry terminals. Do note though that most restaurants, especially in the museum and Honmura areas close quite early. If you are arriving late in the evening, you will most likely need to eat in Miyanoura. Naoshima deserves at least an overnight stay. Thankfully, the island is dotted with ryokan, guest houses and hostels and a good place to start looking is on Odigo or on the Naoshima website. We had a good experience at the homely Oyaji no Umi, in Honmura. The very kind host drove us to the convenience store when we arrived after the restaurants and buses had finished for the night and served a filling western style breakfast each morning. If you want to really splash out, staying at Benesse House itself will grant you access to exclusive artworks at the Benesse Art Site plus other perks around town. 20 minutes away from Naoshima by boat is the larger in area than Naoshima but less populated, Teshima. 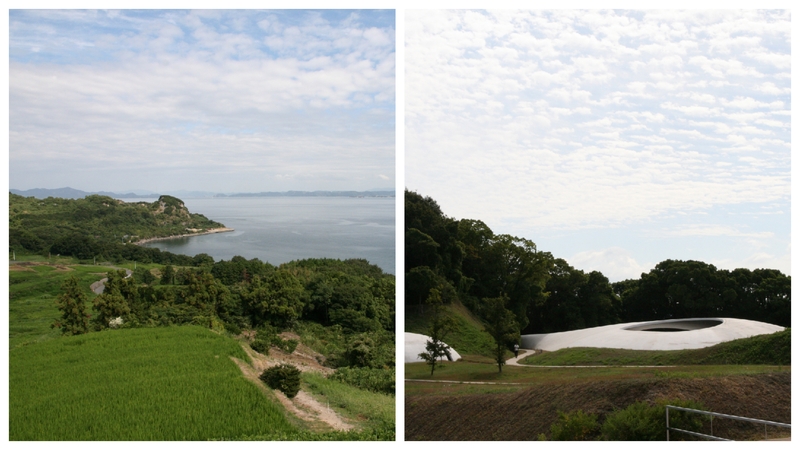 The highlight for us here was the peaceful and mesmerising Teshima Art Museum. Located on the top of a hill, surrounded by picturesque terraced rice fields (a motor assisted bike is a definite plus here), the museum is shaped like a water droplet that has just hit the ground. Inside the expansive concrete shell large openings in the roof and tiny holes in the floor allow nature in. The result is quite magical so go with enough time to sit and appreciate nature and clever design. A number of other smaller sites are scattered around the main areas of Ieura and Karato and make for a leisurely day of exploring. An even smaller island still and about an hour from Naoshima is Inujima which holds another Art House Project and one that is very different to Naoshima, a botanical garden and two art galleries. The main access routes to Naoshima and the surrounding islands are either through Uno port (just across the road from Uno Station) and Takamatsu Port, Kagawa Prefecture (on the Shikoku Island). From Uno ferries and passenger boats run regularly throughout the day to Miyanoura and less often to Honmura. The most enjoyable way to get around the island is by bike and there are motor assisted bikes available from some operators if you are averse to pedalling uphill. At Honmura, Cafe Restaurant Garden is a laid back operation which hires bikes right next to the ferry terminal and opens from 9am. You can return the bike anytime up to 10pm, no motor assisted bikes here though. T.V.C Service is another operator with branches in both Honmura and Miyanoura so you can take a one way trip if you like. In terms of distances and riding times Miyanoura to Honmura is about a 15 minute ride and Honmura around to the art site is around the same. Generally speaking, bikes are to be left outside the art site, however ask at the gate and if it is not busy, you may be allowed to enter. Be warned though, the art site is significantly more hilly than other riding around the island! Bus the community bus runs from Miyanoura through to gates of the Benesse House Art Site via Honmura. Each trip costs Y100 and they run once or twice between 7am and 9pm. 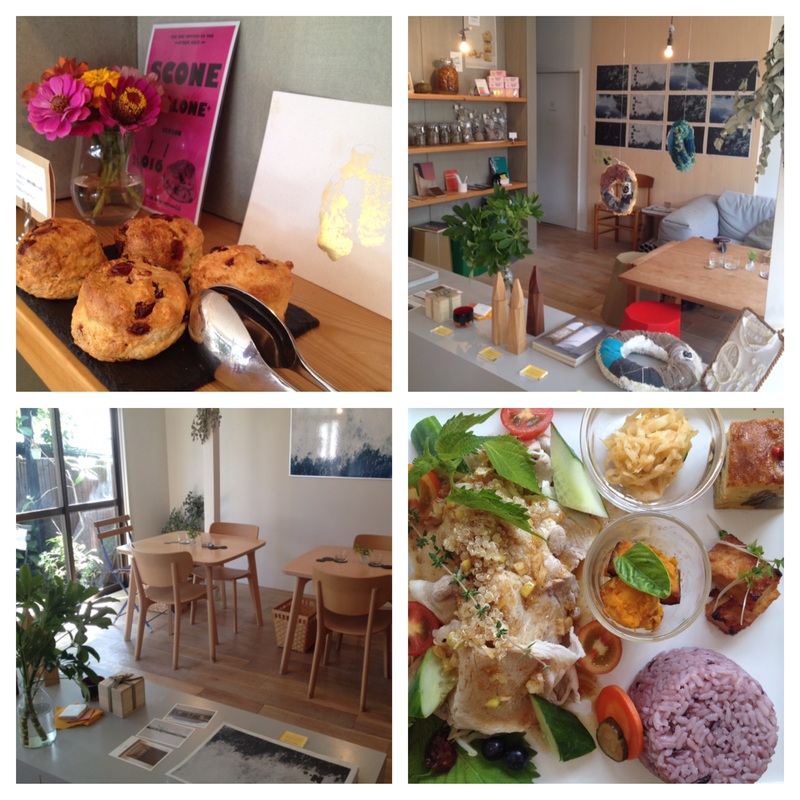 Lunch at Apron Cafe in Honmura is a must! Arrive by ferry into Miyanoura or Honmura. Either hire a bike for the day or jump on the bus and head straight for the main attraction, the Benesse House Art Site. The bus terminates at the entry to the art site and from here a free shuttle bus will zip you up the hill to the galleries. Otherwise, make your way up through the grounds on foot, checking out the various outdoor artworks as you go. Look carefully, some of the works you see are linked with those in the Benesse House Art Gallery! Visit the Benesse House Art Gallery, Lee Ufan Galley and the Chichu Art Gallery. Make time for a drink or snack in the cafe at the Chichu Art Gallery as the view is simply breathtaking. Once finished, head back into Honmura on your chosen form of transport. I highly recommend calling into Apron Cafe for a seasonal lunch of regional specialties. Every mouthful we had there was divine. You know it was good when almost a month later you recall the meal and your mouth starts watering! The rest of the afternoon can be spent visiting the Art House Project in Honmura. 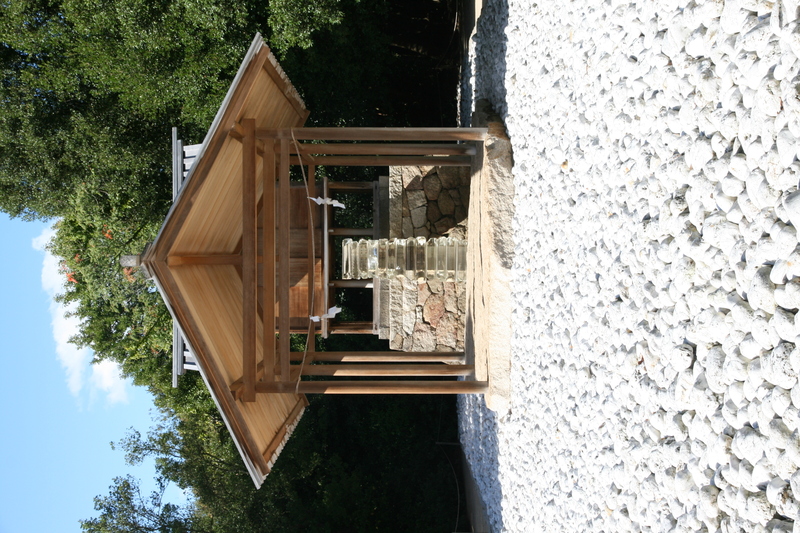 If you have limited time, make Minamidera, Go-o Shrine and Kadoya your first points of call. Finally, head into Miyanoura for dinner and a relaxing bath in the most interesting bathhouse you will find in Japan, before bidding the island farewell and taking the ferry back to the mainland. If you have a night or two to spend here then you can do all the above and visit one of the other islands, Teshima and Inujima. These can be reached by ferry from Naoshima or Uno. In fact, if you plan to visit both Naoshima and Teshima, you could consider staying in Uno rather than Naoshima for the convenience of the ferry port. At Teshima take in the Teshima Art Museum first and foremost as well as the rural area around the museum. There is a walking trail through the terraced rice fields and farmlands just by the museum and the views are well worth the diversion. 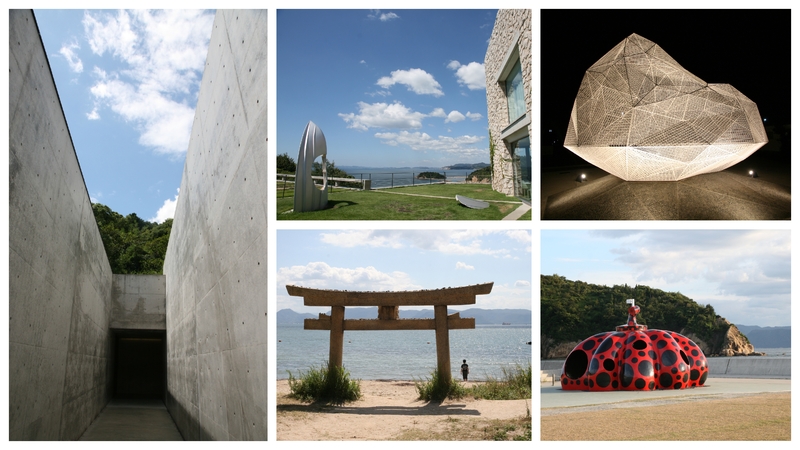 Naoshima has a comprehensive website. Check this out before your visit to confirm that the museums are all open. The attractions do close down significantly in the off season (December thru February) and usually have a holiday day each week. For many places this is Mondays, excluding public holidays. Keep your eyes out for the string art on buildings as you explore the streets around Honmura and please let me know if you manage to find the second cat! Maiko, Geiko, Geiki, Geisha and Oiran, Oh My! What’s the Difference Between Them? In this article we give you a breakdown of the difference between a maiko, geiko, geiki, geisha and a oiran is and see AkiDearest dress up as an oiran! Hashima (Gunkan Island) is an abandoned island. You can take tours to the island through various cruise operators.